Standard delivery - place your order before midnight on Sunday 16th December for delivery before Christmas. Any order placed after this date and time using this delivery option will be classed as being ordered on Wednesday 2nd January and delivered on or before Wednesday 9th January. 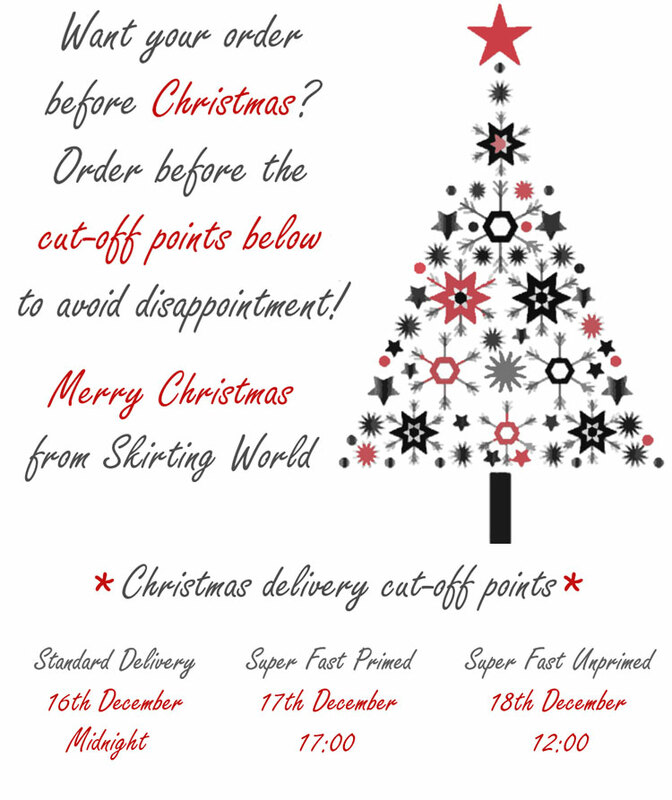 Super Fast Primed delivery - place your order before 17:00 on Monday 17th December for delivery before Christmas. Any order placed after this date and time using this delivery option will be classed as being ordered on Wednesday 2nd January and delivered on Friday 4th January. Super Fast Unprimed delivery - place your order before 12:00 on Tuesday 18th December for delivery before Christmas. Any order placed after this date and time using this delivery option will be classed as being ordered on Wednesday 2nd January and delivered on Thursday 3rd January. Orders placed on or after Thursday 3rd January will be treated as normal - our delivery options.